Are you feeling a little overwhelmed? With holiday fun, holiday obligations and, uh, you're whole business to run? If so, you are not alone. This week we're going to talk about keeping your sanity and having as much fun as possible, while keeping your business going. 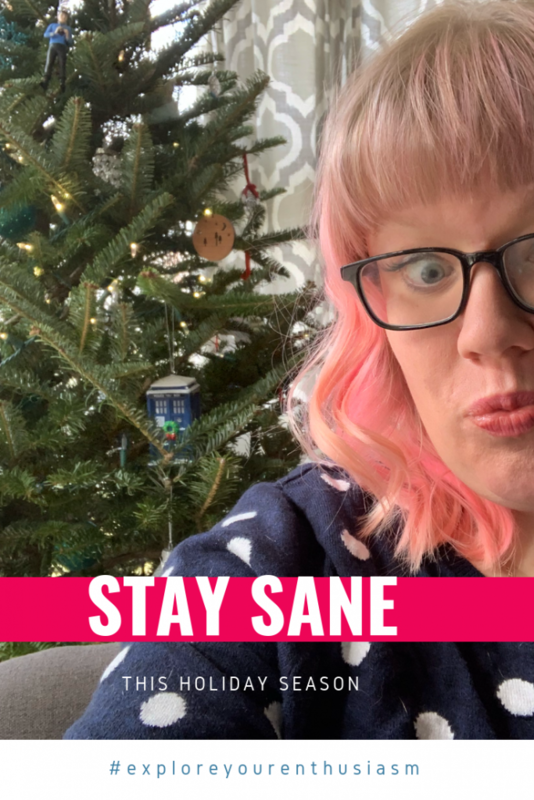 We, as a community, have been talking about staying sane during the holiday season since 2010, when I created the first version of the Holiday Sanity Guide. This comes up every year, because, guys, this season can be HARD. You've got more family responsibilities, more business responsibilities, and on top of all that, EXPECTATIONS of how it should all go. So I wanna talk about that today, how to handle your own expectations while still meeting your responsibilities. And if you're new here, or you're just really feeling the holiday stress, check out alllll the past posts and episodes in a Definitive Holiday Sanity Guide at the bottom of this post. First, you gotta acknowledge what is making the season hard: responsibilities and expectations. Sometimes we confuse the two, or we agree to unstated expectations, without really deciding if it's right for us or not. For our discussion Responsibilities are those things you really do need to do, or the things you owe other people. It may be that you see your family each year at the holiday, you promised that you would and it is important to you. You have a responsibility to your business to show up the way you promised to show up (whether that's delivering an order or publishing your podcast weekly). Take a minute and write down your responsibilities. The Holiday season also comes with all these expectations, about what you'll do but also how it will feel. We have stated and unstated expectations for both ourselves and for others (and other people have expectations for us), about both actions and feelings. For example, maybe you expect that you'll bake a million cookies, or that you'll feel a certain way. OFTEN when I'm talking to someone about why they are stressed or not enjoying the season (or any season), it's NOT because of what they have to do (responsibilities) it's because of how they thought they'd feel (expectations) or the expectations of others. Take a minute and write down all of your expectations of the holiday season. (You can do this any time of year, especially if you're doing something very exciting in your business). How do you hope to feel? Where do you expect to go? And then meet with your loved ones and ask them what they expect of the holiday season, and of you. This “meeting” can be as formal or as informal as you like. You can do it around the dinner table tonight or you can call each of your sisters or parents up and ask them. One way to frame this is “I'd love to make this season wonderful for all of us, so I'd love to know: What are your expectations or hopes for this season? What matters most to you? Warning: Be sure you're only soliciting expectations from people you really desire to fulfill expectations of. (Hint: Maybe don't ask your never-happy-with-anything mother in law). Now! This is really important: You get to decide what expectations you take on! You get to agree, with your immediate family or friend group, what expectations you'll meet and which ones they'll meet. For example, maybe your kids really want a billion cookies but you don't like to bake, so your partner agrees to do cookie baking, or you reach out to another family member who would love to spend that time with your kids. Or maybe you have expectations of beautifully wrapped gifts under the tree – who is going to do that? Are you going to wrap them all? Do you want to ask for help? Could you maybe lower your expectations about beauty and let your 5 year old wrap some gifts? The examples I'm giving here are lighthearted, but I know the season can come with some heavy feelings of obligation. That's why I'm suggesting that you first make everything explicit, and then you spend the time to decide what expectation you want to meet and what you don't. Here are three principles for that sorting process. What makes this season wonderful to you? What drives you crazy? Filter all the expectations through the values you care most about. Look back at your responsibilities, are some of them just expectations? Can you let some of them go? Maybe you take a week or two off from your weekly business obligations? 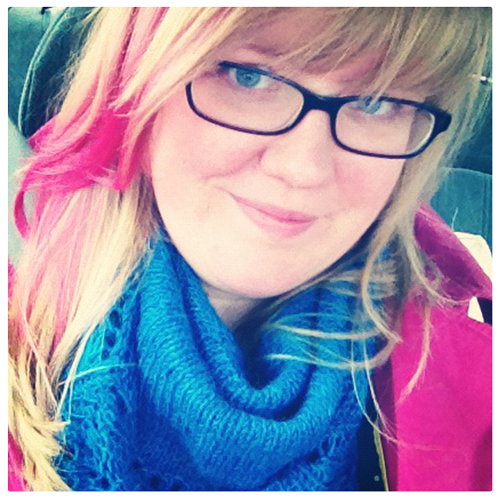 The better you get at filtering things OUT, the happier your season (and your life!) will be. Once you've got your list of what matters, you gotta really, actually let go everything else. I'm serious. Just let it go. Will you disappoint some people? Yes. That's ok, that's part of life. Your job isn't to make everyone happy. It's to do your best and you can only do your best if you're taken care of. I'm going to remind you of one of the first holiday related videos I ever recorded – people's feelings and expectations aren't about you. It's about them. What people say to you or expect of you is about who THEY are. It has nothing to do with who you are. (Yes, they may be pointing it at you, but it's still about them). 3. There is always more time. You don't have to have all the gifts purchased by Dec 25th, maybe you'll give friends gifts on the 27th? You don't have to reach your business goal by Dec 31, maybe you can reach it Jan 31? Or next spring? You have more time. The goal of your life isn't to cram everything into RIGHT NOW, it's to enjoy right now (because you might not actually have more time, and wouldn't you rather enjoy this while you know you have it?) and keep growing and learning. So let things unfold, let things go, and know that you can always do the thing when everyone's bored in Jan or Feb or next year. I'm so excited to have a stress-free holiday season this year! I can't wait! How can you enjoy the end of the year and the holidays, while maintaining your business and your sanity? This question was asked a few weeks ago on Periscope, and I wanted to dive into a more thorough answer and share it with you here. You can follow me on Periscope to get the podcast episodes a full week before they come out; I'm TaraSwiger on Periscope or you can catch broadcasts at Katch.me/TaraSwiger. It's the week of American Thanksgiving, which kicks off the holiday season here in the States, with Thanksgiving, Hanukkah, Christmas, Solstice and the New Year. If you celebrate even one of those holidays, and you're running a business, this can become a hectic time of year and soon it's already the new year, with all its new projects and excitement. But I want you to have a sane and happy holiday season. I want you to both have the kind of time with your family or friends that you want AND see the kind of business growth you want. I don't want you to stumble into 2016 feeling fried from the last month of 2015. So here's how we do that. Determine what it will require. Listen in to learn exactly how to enjoy this time and end the year strong and profitable in your business!